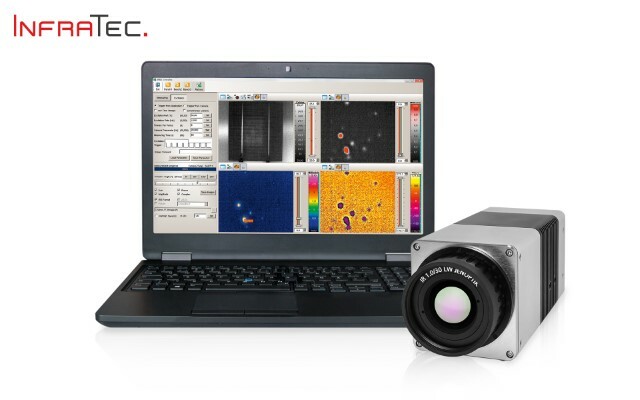 InfraTec developed the thermographic high-resolution system VariCAM HD head for demanding stationary monitoring and measurement tasks. The smallest details can be captured in high-quality thermographic images with 16 bits allwing for unprecendented efficiency. Max frame rates of 240 Hz allow for reliable recognition of very quick temperature changes. The application range includes automatic threshold recognition and signalling, digital real-time image acquisition via GigE, and online processing of thermographic data. Installation in tough processing environments is made easy and inexpensive due to the industrial light metal housing (IP67).